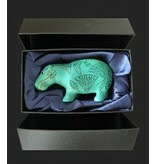 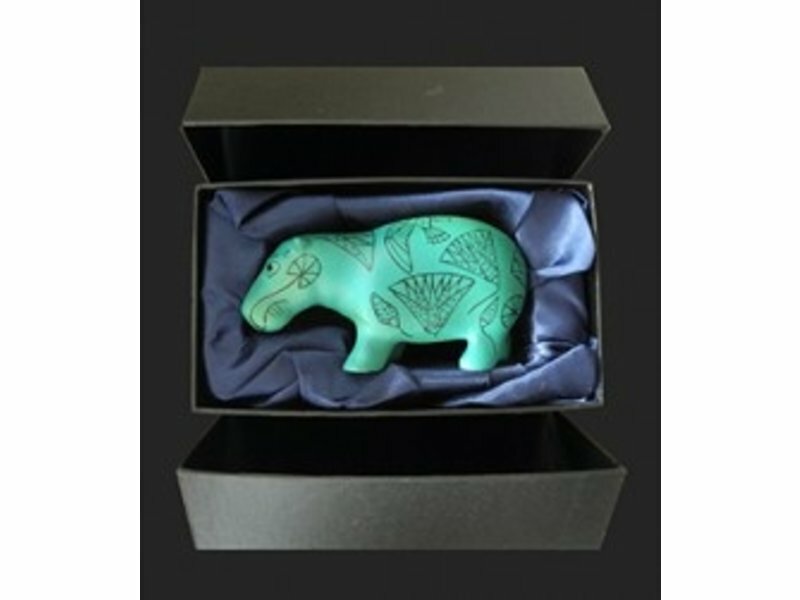 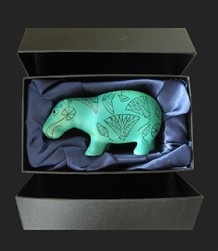 Statue of a hippopotamus made of artificial faience, delivered in gift box. 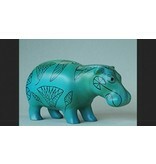 Dimensions hippo: h 5 cm x length 10 cm. 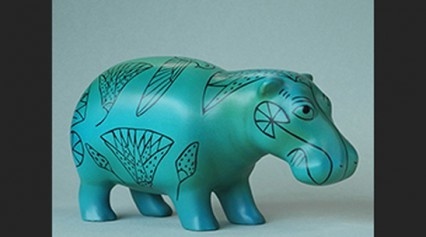 The body is painted with river plants such as the blue lotus that symbolize the environment of the animals in the swamps. 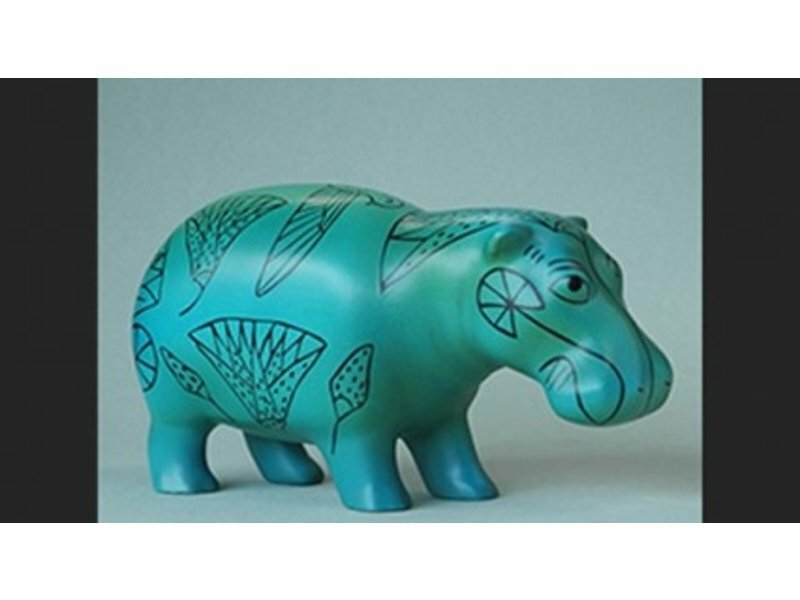 William the Hippopotamus is the nickname of a statue of a hippo in faience from Ancient Egypt and is the informal mascot of the Metropolitan Museum of Art in New York.